On Sunday 14th June 2015 the Hard Rock Cafe celebrates its birthday, selling its Legendary Burgers for just 71p in honour of the year the first ever Hard Rock Cafe opened in London: 1971. Sunday 14th June marks 44 years to the day that Isaac Tigrett and Peter Morton first opened the London cafe, a time when Edward Heath was prime minister, flares were in and Knock Three Times was top of the pops. Each cafe has its own unique local Legendary Burger, made with meat and melted cheese, and on 14th June they'll be a bargain 71p per burger, available all day until stock runs out. Happy birthday Hard Rock! 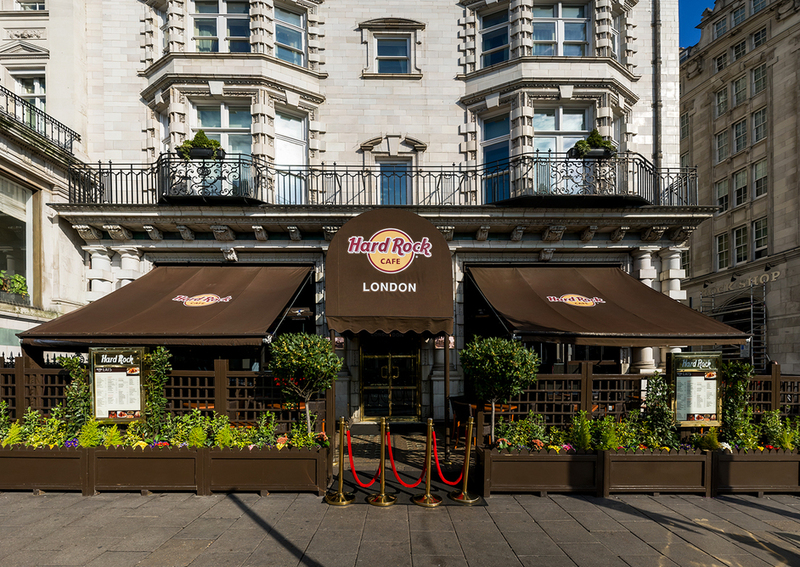 What are the best dining options near Hard Rock Cafe Birthday London? Hard Rock Cafe Birthday gyms, sporting activities, health & beauty and fitness. The best pubs near London Hard Rock Cafe Birthday. Hard Rock Cafe Birthday clubs, bars, cabaret nights, casinos and interesting nightlife. Where to have your meeting, conference, exhibition, private dining or training course near Hard Rock Cafe Birthday. From cheap budget accommodation to luxury 5 star hotels see our discounts for The Hard Rock Cafe hotels, including Athenaeum Hotel London from 90% off.